A simple tribute to the microscopic arachnid that gives its juices and its life to help make a speciality German cheese. 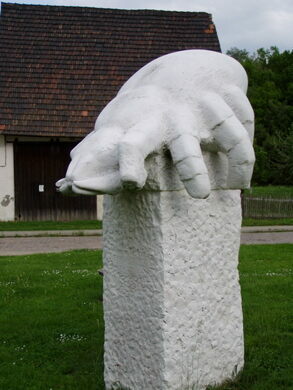 In the tiny German village of Würchwitz stands a memorial in honor of a microscopic local hero: The cheese mite. 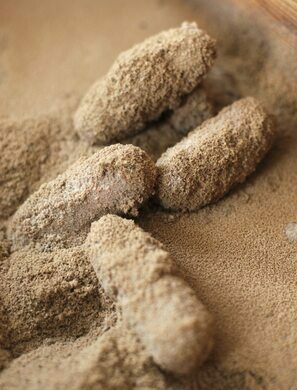 For without this mite, locals could not produce their famous specialty cheese, Milbenkäse. Milbenkäse has been produced in the Saxony-Anhalt region since the Middle Ages, but the traditional method was almost lost in the mid-1900s. By 1970, only one elderly lady, Liesbeth Brauer, knew how to make this peculiar cheese. Thankfully, her knowledge was passed along to a local science teacher who managed to preserve the tradition. Today, Milbenkäse is produced only in the small village of Würchwitz. 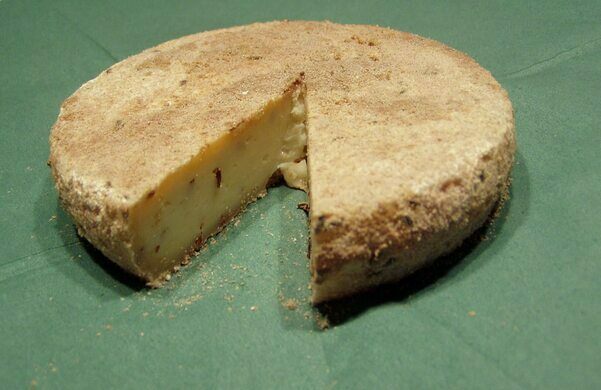 As for the cheese mites (Tyrophagus casei), here’s how they do their part: Milbenkäse is made by flavoring a soft, white, and unaged cheese called quark with caraway and salt. The cheese is shaped into balls, wheels, or cylinders. 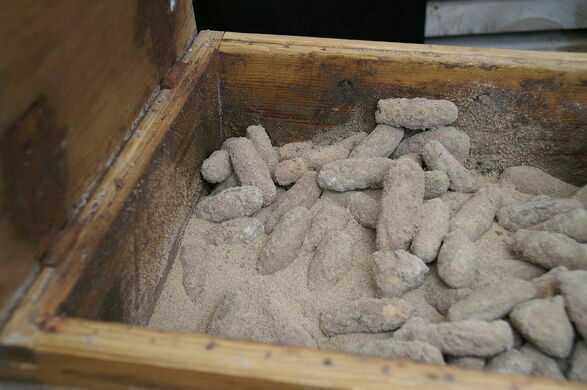 These are then dried and left in a wooden box containing rye flour and cheese mites. And now the magic happens. For at least three months, the cheese mites excrete their digestive juices over the cheese. These juices contain enzymes that cause the cheese to ripen, turning yellow and then a darker reddish-brown. Some cheese makers let the process continue for up to one year, by which time the cheese has turned black. Good job, cheese mites. 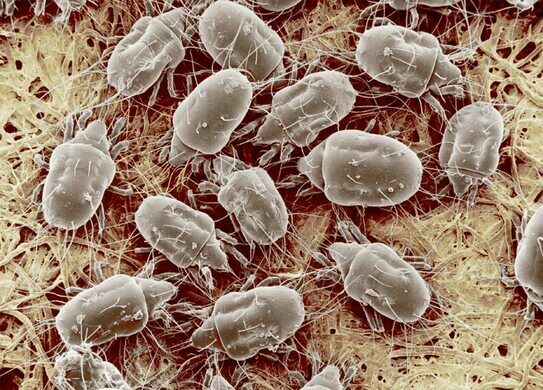 When the cheese is ready to eat, the cheese mites don’t abandon ship. They are not removed, but are instead eaten along with the rest of the cheese. European Union regulations are a little shaky when it comes to the legality of this, as foodstuffs aren’t normally allowed to contain living animals, at least not for human consumption. But the local food safety office granted a permit for the continued production of Milbenkäse, keeping the tradition very much alive for future generations. Understandably, local cheese makers in Würchwitz decided to honor the hard working and self-sacrificing cheese mites with a memorial in the village. It’s not the prettiest of things, that’s for sure, but it is a fitting tribute to both the mites and the cheese they help produce. A Neolithic celestial calendar standing in a nondescript wheat field.